You might be a little tired of *round-up* posts by this time, but I feel like this Best of Beauty post is one of my favorite posts to write every year, so you’re just going to have to deal with one more over here. Beauty-wise, one of the best things that happened to me last year, was finally getting rid of my acne. In all honesty, I never thought this moment would come. I actually wore zero makeup to our family Christmas dinner, and felt so incredibly comfortable in my skin, it honestly felt amazing. After many lifestyle and skincare changes- like going plant-based, being more gentle with my skin, avoiding mechanical exfoliation- my skin has gotten so much better, but that stubborn acne was still there. That was when I decided to go on Accutane which, in my mind, was somewhat of a last resort and it took me years to finally agree to the treatment. 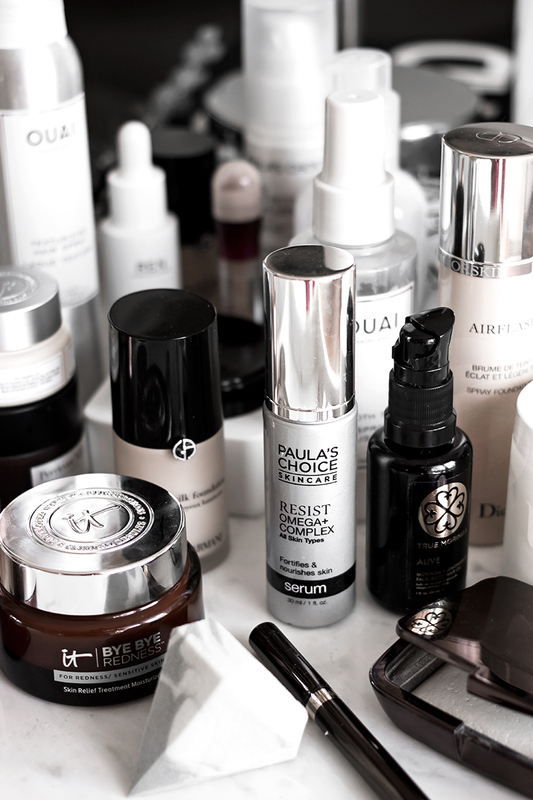 Now, my skin is completely different, and, funnily enough, I enjoy discovering and testing new skincare products even more than I did back when my skin was covered in painful breakouts and cysts. IT Cosmetics Bye Bye Redness Moisturizer is one of my favorite creams, probably the only one that I like more, or at least just as much as my good old Cetaphil in a tub. It’s thick, but not greasy, gentle on skin, hydrating, and helps deal with redness, itchiness, blotchiness- all the things you experience when you have very dry and sensitive skin. I would recommend this especially for those with dehydrated skin. Paula’s Choice Resist Omega + Complex is like magic in a bottle for dry skin. It’s a serum that I fell in love with from the very first use. I’m not sure if this gives any mind-blowing results when used over time (I’m on my 4th bottle) but I just love the relief and the feeling of soothing this gives my skin. Nothing else leaves my skin feeling as soft and smooth. Also from Paula’s Choice: Skin Perfecting 8% AHA Lotion. * This is a super lightweight AHA lotion that hydrates and keeps the skin smooth. This is one of the very few AHA products that are gentle enough for me to use during the day. There are so many wonderful face masks which I discovered last year- most of them are hydrating masks that target dry skin, as that’s what I’m dealing with at the moment. I won’t talk about all of them- you can see me mention a few of my favorites right here– but one that I love the most is probably Dr. Perricone’s Cocoa Moisture Mask. It smells delicious, takes only a few minutes to work, and leaves my skin very, very soft, smooth and glowing. This is probably one of my favorite products from the brand. 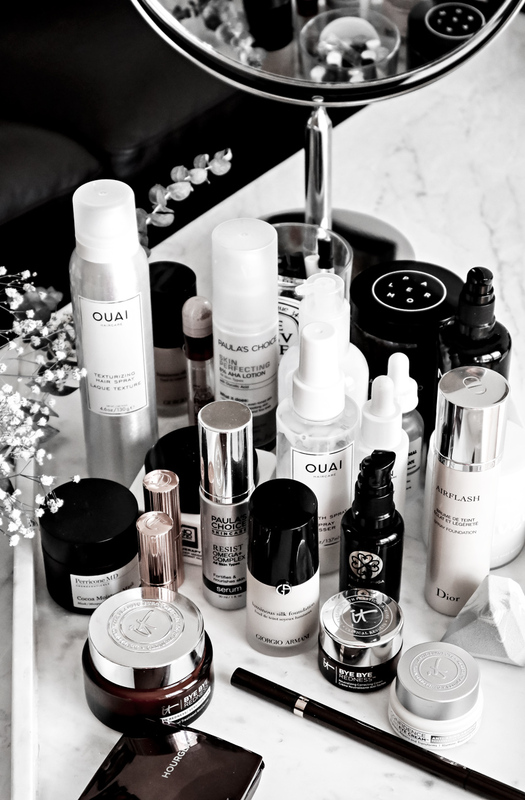 IT Cosmetics Confidence in a Cream is one of the cult products from the brand and the Confidence in an Eye Cream from the same line is just as amazing. I’m quite picky when it comes to eye creams, most of them just don’t seem do get the job done, but this one is very hydrating and, most importantly, it won’t irritate your skin. This is SO important for me, because most of the eye creams I’ve tried, always make my eyes water and turn them into a red mess. This eye cream is perfect for this time of year, if like me, you struggle with dry and irritated under-eye skin. Last two skincare bits that are deserving of the Best of Beauty title, are the Ordinary’s Hyaluronic Acid– which is super affordable and works just as well as very price HA Serums I’ve used- and Glossier’s Milky Jelly Cleanser, which is one of most re-purchased Glossier products and one of the few that, in my opinion, is actually worth the hype. 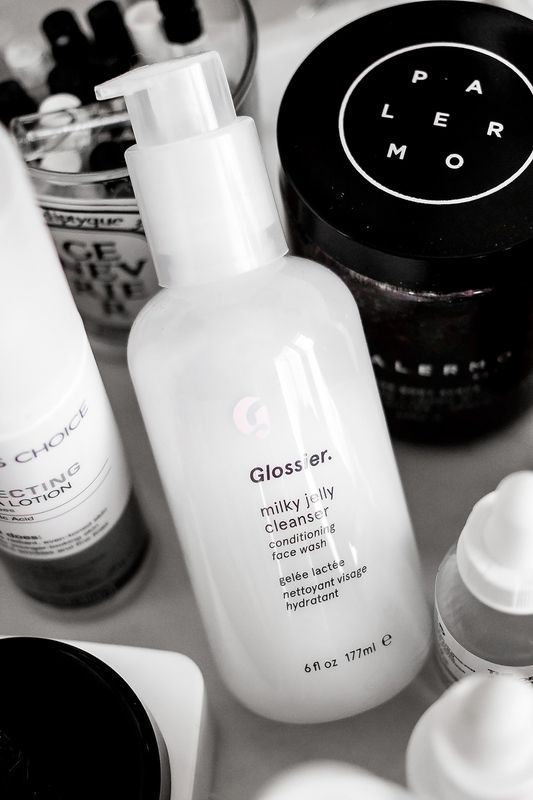 If you want to try it for yourself you can use this link to save some $$ off your first Glossier order. From the clean-beauty files, I, of course, love my Akwi Cleanser from MŪN, but I’ve also been obsessed with Palermo’s Body Scrub and True Moringa’s Face, Body + Hair Oil in Lemongrass. A year ago, in my Best of Beauty post, I talked about Oribe’s Dry Texturizing Hair Spray which, by the way, I still use and love. Ever since I cut my hair short, I just can’t go without a good texturizing spray. 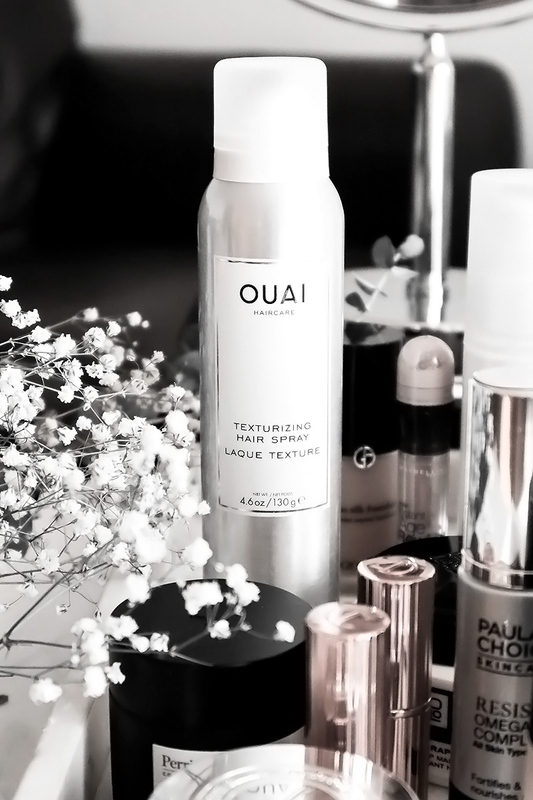 Last year, I also discovered another favorite: Ouai Texturizing Hair Spray, which is also pretty amazing. 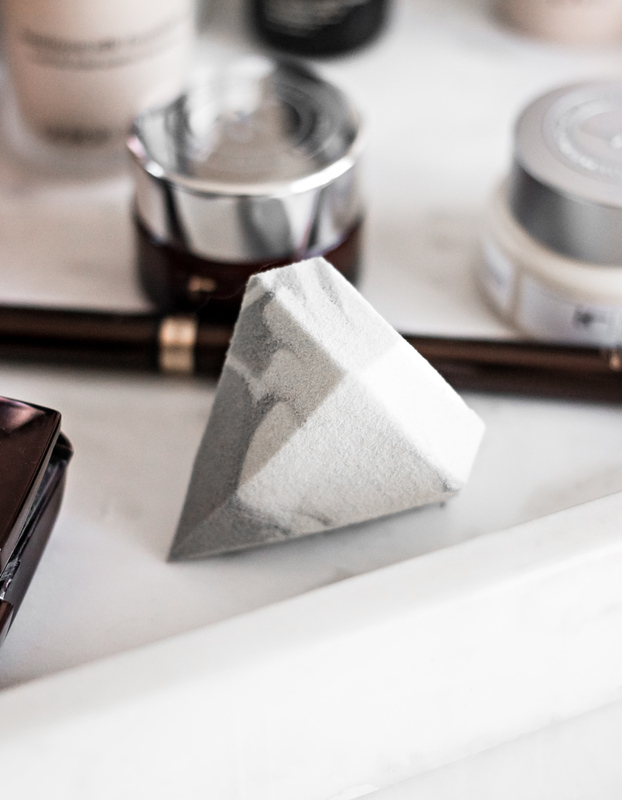 I’ll never love another tool as much as I love my original Beauty Blender, but I kind of fell in love with this Real Technique’s Marble Diamond Sponge. I love the shape of this sponge- it allows to really get to all the contours and corners of your face. I had the hardest time finding it in store, but Harmon Face Values always seems to have them in stock. Makeup-wise, well, I already talked about my newfound love for Dior’s Airflash foundation- seriously, it’s probably in my top 5 when it comes to base products. Yes, it’s pricey, but it’s also pretty amazing. Another pricey foundation I finally got my hands on last year was Armani’s Luminous Silk. It took me so long to try both of them because I knew they most likely would not work with my oily skin. Being on the normal/dry side now, finding a nice foundation isn’t as much of a struggle, and both of these look absolutely stunning and natural on skin. Last, but not least, is yet another pricey product (SO sorry for featuring so many pricey bits, but I promise I have a post coming up about some of my favorite affordable beauty products, very soon!). This ridiculous Tom Ford Eye Defining Liner priced at 57 bucks (!) does all the work for you. It just makes you feel like all of a sudden you’ve become better at applying eyeliner. I’ve had mine for months now and it hasn’t dried up, still applies smoothly, last long, doesn’t smudge and is all round amazing. If you can afford to splurge, I highly recommend it. 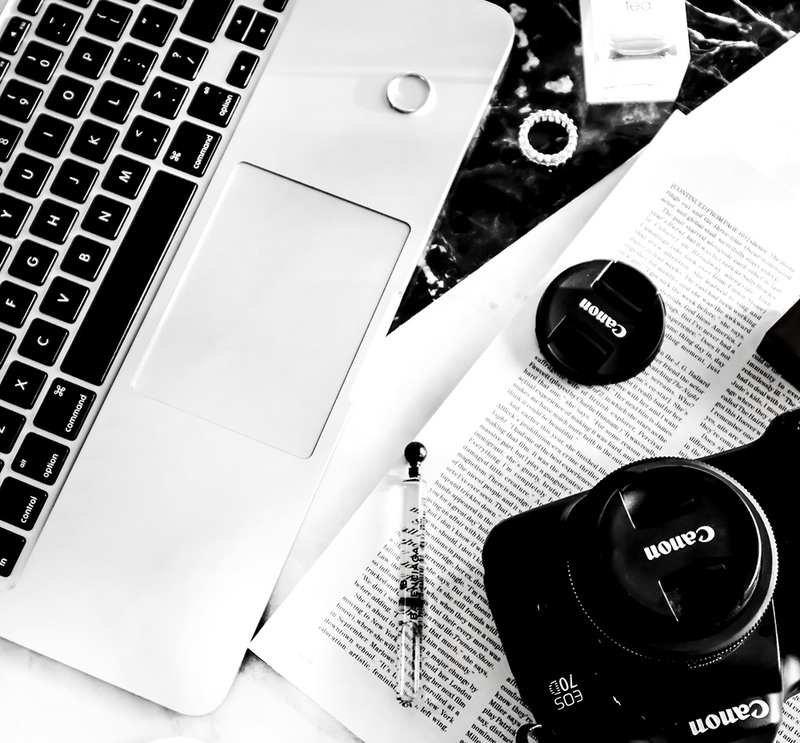 What were some of your most loved products last year? 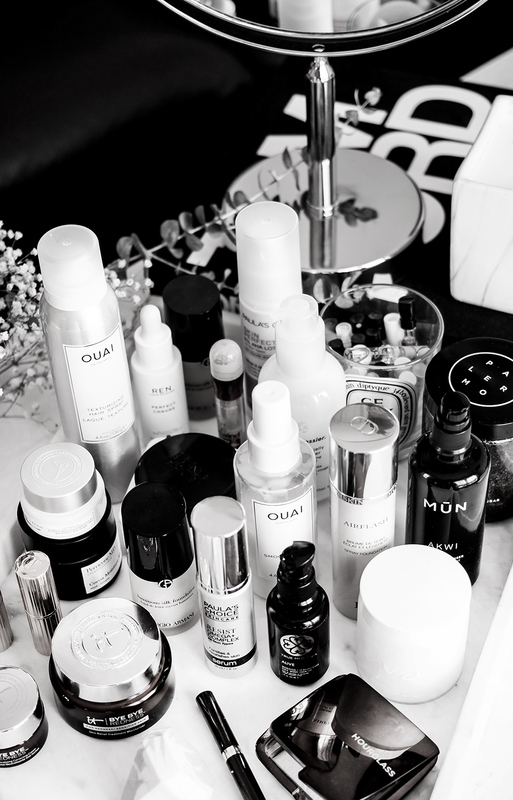 Are you more into skincare or makeup these days?